A game by Dark Seals. 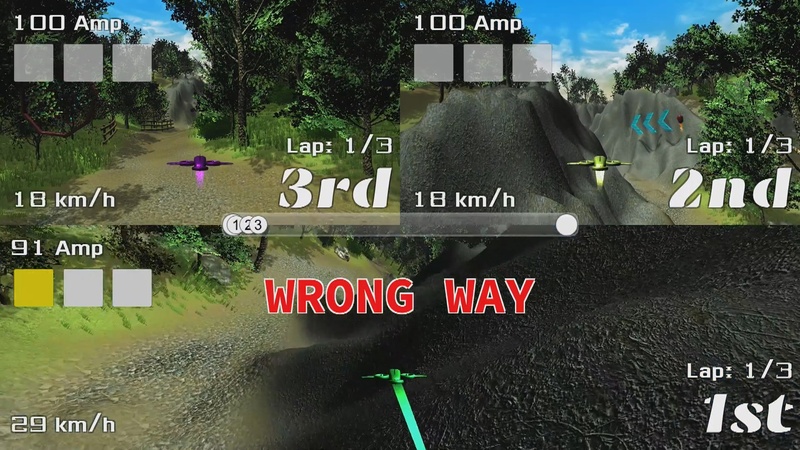 Welcome to the future of Drone Racing. In this world, it's all about the drones. In this world, being the best drone pilot means everything. Fame, money, reputation, passion - it's all on the line, and it all fuels the future of this mega-Motorsport. Do you have what it takes to soar in the skies with the best of them? Or will you crash trying? 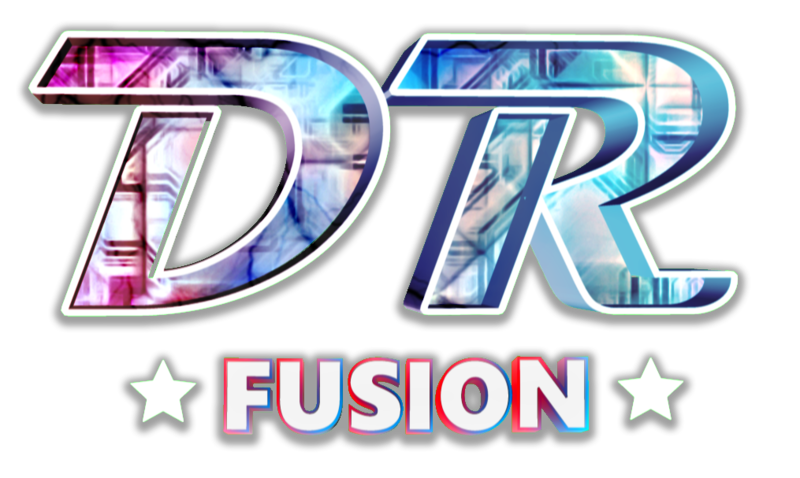 DR Fusion is a 3D arcade drone-racing game, akin to modern arcade kart racing games. You assume the role of an ace pilot in-training, competing with others who are trying to become the best, just like you. 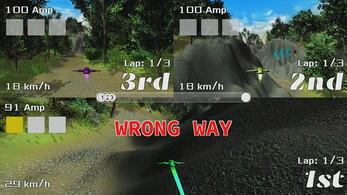 You will choose your drone, and compete in various events ranging from races to time trials, in several highland-forest environments. At your disposal will be an arsenal of deadly power-ups which will assist you in dominating the competition! 2 Distinct drones to control - jet drone and heli drone. Both are suited for completely different play styles. Use what suits you! 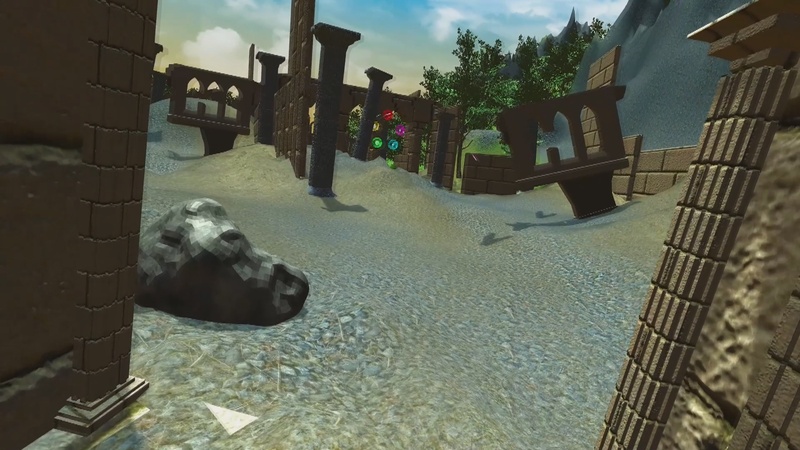 3 Beautiful, hand-crafted race tracks to compete on. 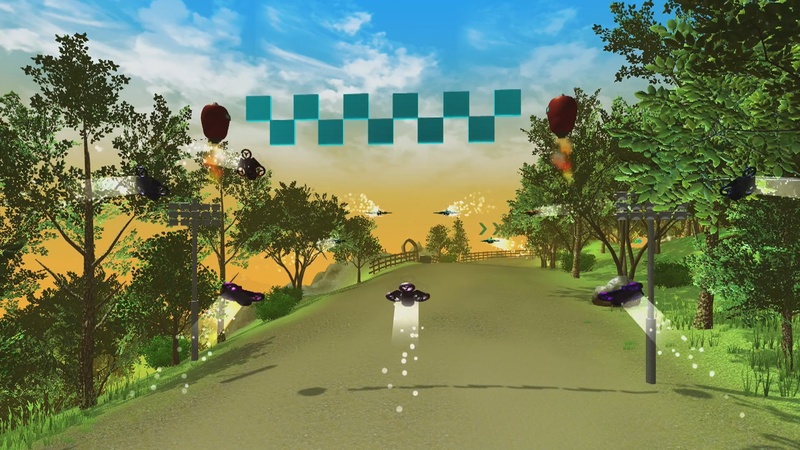 5 Power-up types with more than 25 different combinations you can utilize to cause mayhem on the race track. 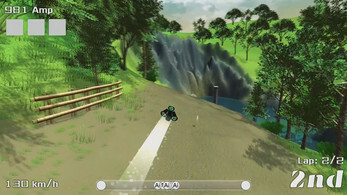 Single Course, Grand Prix and Time Trial game modes. Smart AI that will pose a challenge even to veteran players. AMP Boost system - use boost strategically to get ahead in the race! 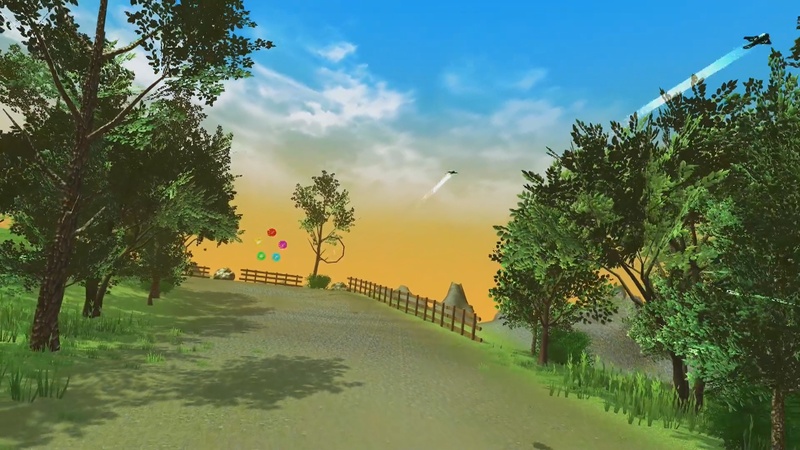 Trick mode - flip and roll all over the sky with style, and regain AMP while doing so!